Why should we buy real estate in Hurghada now? It has been a decade since Egypt is one of the most popular tourist destinations in the world. 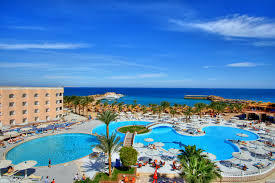 And the same leader in the number of visitors from abroad is a fabulous city of Hurghada. But this modern city has its little secret. The city of Hurghada has become tourist destination not so long ago - in the nineties of the last century. For such a small period in the town have occurred so many truly fabulous changes. It is therefore not surprising that today the real estate in Hurghada attracts no fewer foreigners than the sights of the Old Town. Hurghada - the international center for water sports enthusiasts. There is no diver, who would not want to be on the Griftun Island, the waters of which are known for its magnificent coral reefs and diverse marine life. But the Hurghada - this is not only the sea. After all, this city - a seemingly impossible combination of sea and desert, where everyone can find something for the soul. And those who have their own holiday homes in this Egyptian town know this better than anyone. Now among the lucky ones, who can come here on vacation in any season, can be you - the local market prices will pleasantly surprise anyone! Having a house, an apartment, or even a usual studio in Hurghada, is like to have your own piece of paradise in the homeland of the Pharaohs, where you can come regardless of the season. In addition, owners of property in Hurghada can not only to relax much longer for less money (because they save on accommodation), but to get a good rental income. Local laws do not prohibit leasing your own property. Moreover, people who want to spend their vacation in a private home, not in a noisy hotel in Hurghada are coming all year-round – indeed it is eternal summer out there! Yes, anyone can become a property owner in Hurghada. And not just because the resort prices, which compared with the European seem ridiculous, but because the only thing you need in order to buy a property in Egypt is to have the money and a valid passport. Unlike a number of other Arab countries, in Egypt foreign owners receive full ownership on the property. They can not only live in it personally, but also rent out and resell it at any time. Moreover, in this country there is no further tax on real estate! Is not this another reason to become an owner of your own home in Hurghada?